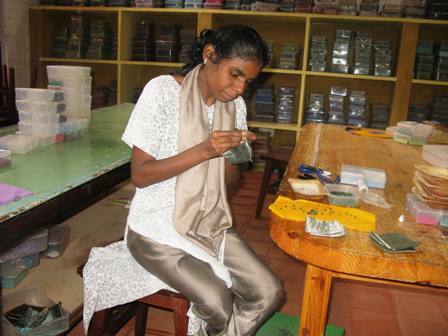 Blue Mango Trust is a social enterprise for women in Tamil Nadu. Blue Mango’s objective is to run a sustainable business by and for marginalized women who are disabled, deserted, widowed or living with AIDS. With a supportive infrastructure which enables women to gain financial stability and self-reliance it is hoped that because of Blue Mango, those who are stigmatized will find greater respect and support from their larger communities.